Free Shipping Included! 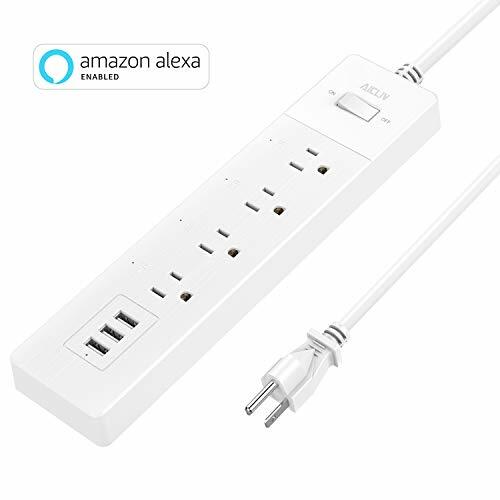 Smart Power Strip, Aicliv WiFi Surge Protector with 4 AC Outlets and 3 USB Charging Ports, Multi Outlets Works with Alexa & Google Home, Wireless Remote Control, No Hub Required, 6FT Cord, 100-240V by AICLIV at CTOSoft. Hurry! Limited time offer. Offer valid only while supplies last. If you have any questions about this product by AICLIV, contact us by completing and submitting the form below. If you are looking for a specif part number, please include it with your message.